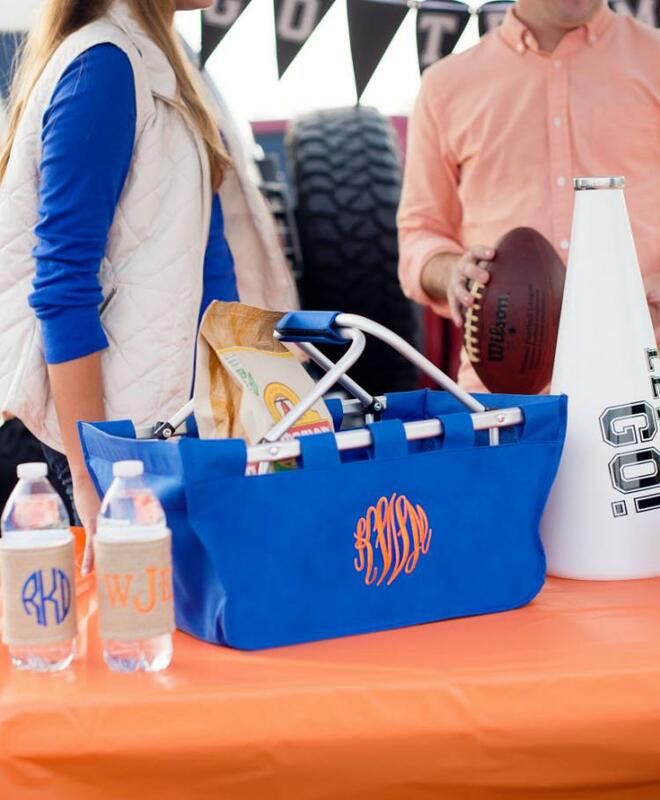 Monogrammed Market Totes for everything from shopping to storing! 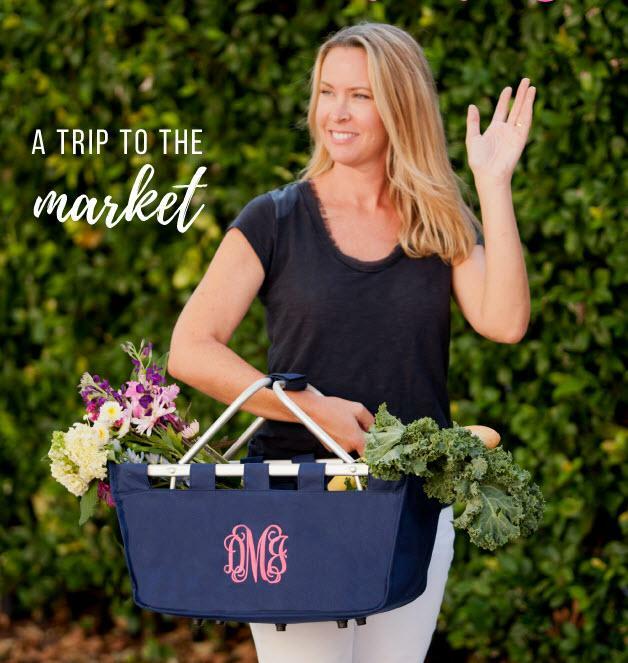 Cute and practical Market Totes from The Pink Monogram. We LOVE these! 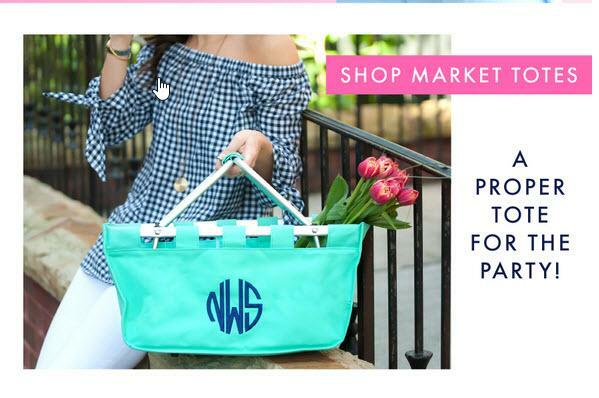 We have several prints and solids for you to choose from, then we personalize it with your monogram in your choice of thread color and font. 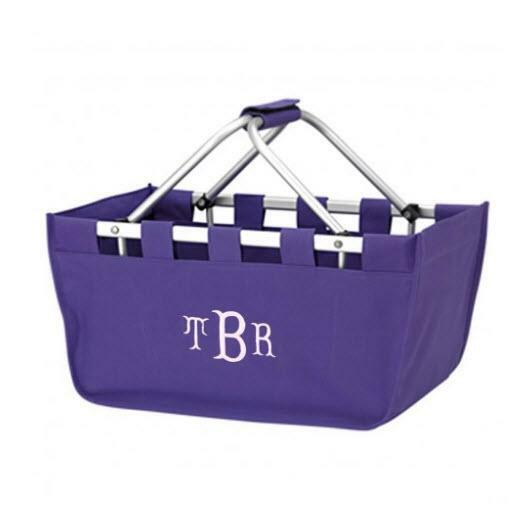 Each tote measures a roomy 18" x 11.5" X 9"
The Market Tote will collapse to fit in any flat storage area. Or keep open in the trunk of your car for all the little items you need. 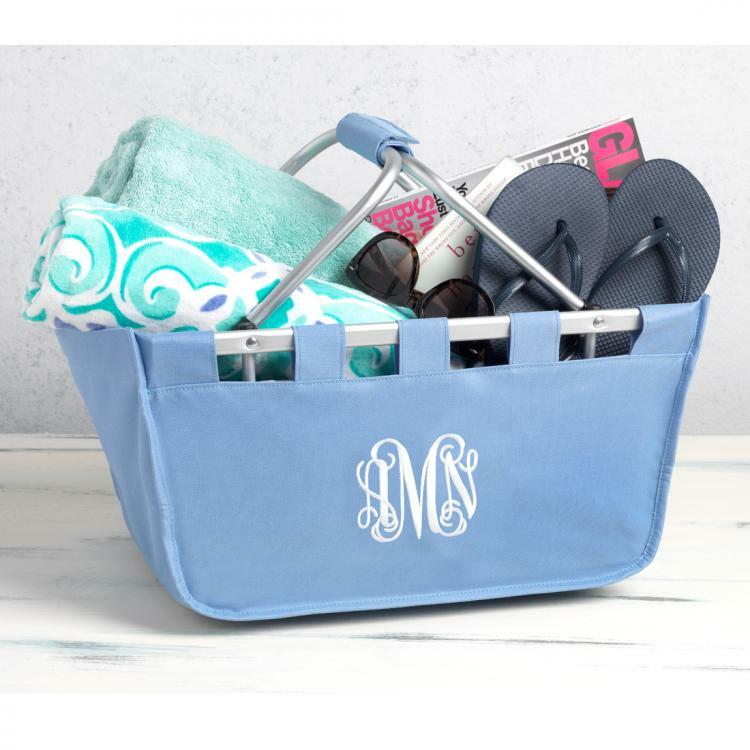 This also makes a great bridesmaid gift for the weekend necessities, and it makes a very sweet teacher's gift. Great for many uses around the house. 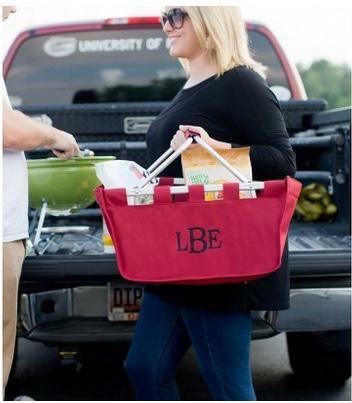 Very practical while out shopping or running errands. I use mine to run to the market for just a few items. Environmentally friendly, European-style basket. You will love the convenience and the look! These are best sellers, Everyone loves them! Customer ratings: 9.5 out of 10 based on 2 ratings. In stock! - Browse this brandOur products are custom made to your specifications. This product ships up to 1 weeks after your order is placed.